Listening to death row inmate Gary Haugen and Gov. John Kitzhaber expound on Oregon's death penalty, it sounds almost as though all this is between them, the two-time murderer ready to accept his punishment, and the three-term governor who can't bring himself to allow another execution under his watch. There is someone else involved here: You. What do you think? Is Oregon's death penalty system truly "broken," "inequitable" and "compromised," as Kitzhaber insisted Tuesday while announcing his decision to issue a temporary reprieve and block the scheduled Dec. 6 execution of Haugen? By Gov. John Kitzhaber - Wednesday, November 23, 2011 - On Tuesday, I made the decision to stop an execution from going forward. I want to share with Oregonians how and why I came to that decision. There have been two executions in our state since 1984. Both of them occurred during my first administration, one in 1996 and the other in 1997. 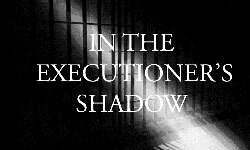 I allowed those sentences to be carried out despite my opposition to the death penalty. I was torn between my person convictions about the morality of capital punishment and my oath to uphold the Oregon Constitution.